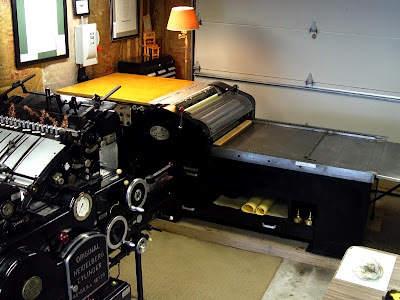 The Press of Robert LoMascolo: A Vandercook at last! I am currently finishing the restoration of a 1964 Vandercook Universal IV press. 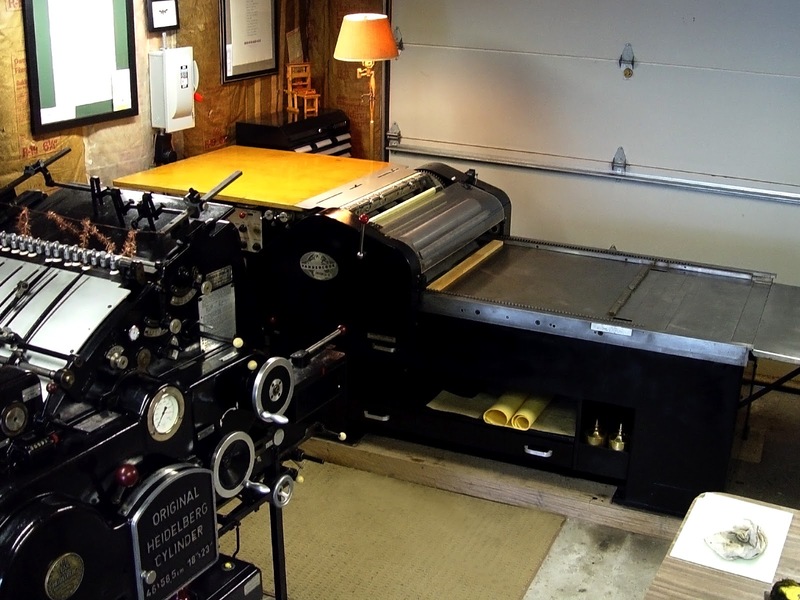 This press will significantly broaden my printing capabilities with it's maximum sheet size of 32-7/8″ × 29½”. I had a number of electrical issues, but it seems to be working now. When I purchased the press a good deal of cleaning had already been done, but the press had been almost totally disassembled in the process! Thankfully it came with the manual, and almost all the original parts. The most notable exception being the frisket tower which sadly has been lost. Many thanks to Michael Russem of Kat Ran Press, the former owner, for his indispensable help and generosity in this project. Universal IV at the Press of Robert LoMascolo nearing completion. 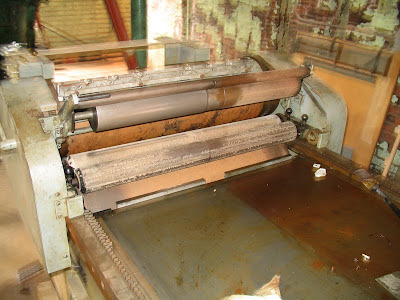 Universal IV before restoration begun by Kat Ran Press .